The renewed interest in art and nature the last few years has been remarkable, but does not come as a surprise. It concerns a holding position, a reconsideration of our ethical values, based on the realization that our earth’s resources are not inexhaustible. Disruption – Remapping Nature will focus on a number of European artists, who each shed their light on how people today perceive, define and relate to nature. 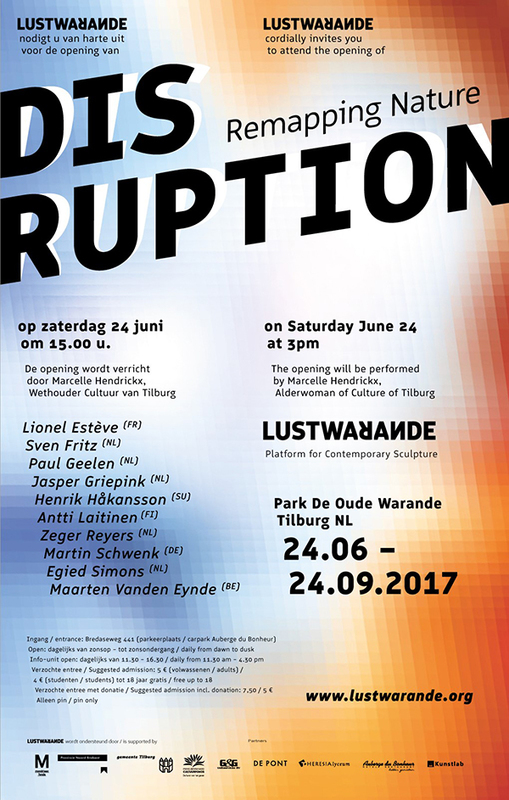 The main challenge of Disruption will lie in presenting these reflections on art and nature in the context of De Oude Warande. Where does the concept of nature end and begins the notion of culture?